After a hiatus of 5 years, SnackDown made a comeback with SnackDown 2015, in a much opulent avatar. 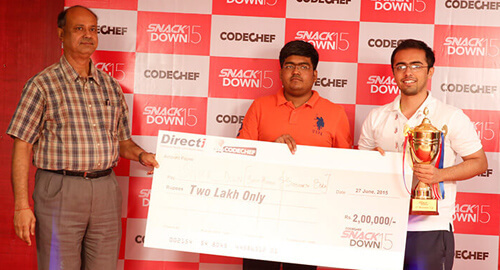 From the format to the prizes, everything changed with SnackDown 2015, but the thing that remained unchanged was the love and zeal of the programmers across the globe. To put the magnificence of SnackDown 2015 in perspective, here are the few vital details from the contest. Over 8.4K teams from over 1.6K institutes/organizations spread across 131 countries around the globe joined SnackDown 2015. The new format of the contest required the participants to register a team with maximum of 2 members from the same institution/organization. All the registered teams participated in the three online preliminary rounds from which top 500 teams of each round moved into the elimination round. 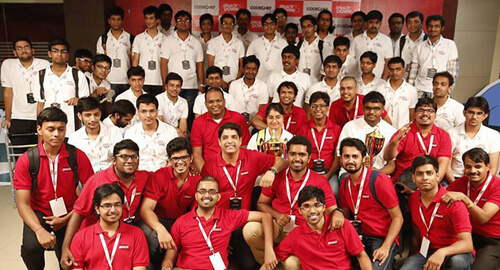 Thereafter, 1500 teams competed in the elimination round for the 50 designated slots for the onsite finale. In an attempt to broaden the programming avenues in India, SnackDown 2015 kept 1 slot each reserved for a school team and for an all girls team, given that they finish in top 50 in the elimination round. 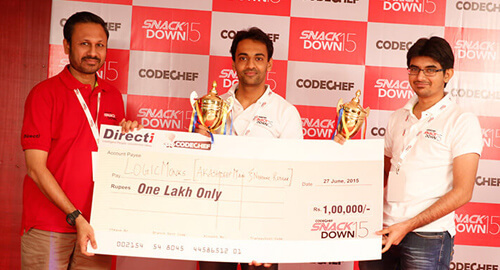 The finale was a glittery event with top 47 teams battling it out for the coveted title of SnackDown 2015 champions. After a gruesome battle that lasted for 5 hours, it was team aapppppppiii of Tsinghua University and Team ancalagon of Indian Institute Of Bombay emerging triumphant on the Global and Indian rank tables respectively. Present at the event were dignitaries from the tech world and some celebrated names from the programming community including Directi’s founder and CEO Bhavin Turakhia, Mr. Vaibhav Arya, CTO, Media.net., Dr. Phalguni Gupta, Director of National Institute of Technical Teachers' Training and Research, Kolkata - a celebrated name in the Indian programming community, and Prof. Anand Shenoi, Associate Site Director, ACM ICPC at Amrita University. 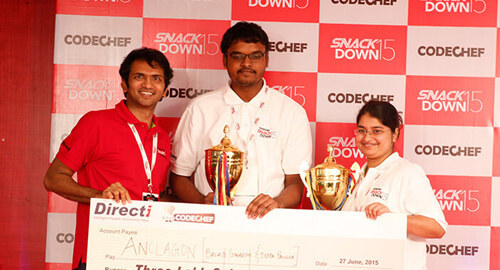 Bigger and grandeur in every sense, the SnackDown 2015 brought together the joy of competitive programming along with the camaraderie among the competitive programmers. We intend to nurture it further with every edition of SnackDown.